You’re lying there in bed and suddenly, you can’t stop the feeling to want to move your legs. It makes it hard to fall asleep. Or maybe you lucked out and fell asleep early in the evening, but awaken because your arms or legs began jerking uncontrollably. Restless Leg Syndrome (RLS) or Periodic Limb Movement Disorder (PLMB) affects your quality of sleep. The feeling can be frustrating. Although RLS is something you control, the urge to move your limbs is so great you can’t even begin to think of sleeping. What Exactly is Restless Leg Syndrome (RLS)? Restless Leg Syndrome is a sleep disorder where your legs are so uncomfortable that you want to move them to make them feel better. Moving the legs makes the feeling go away, but it returns once you try to relax and fall asleep again. 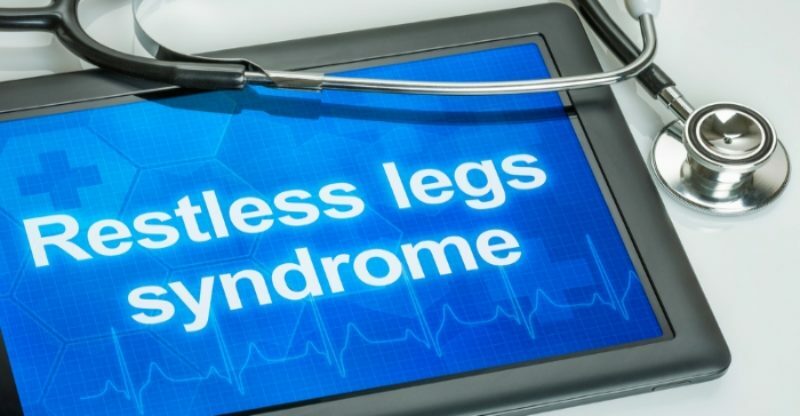 You’ll know if you have Restless Leg Syndrome if you notice a sudden urge to move your legs because they feel jittery, like they’re burning, or as if something’s crawling on them. It occurs when you are sitting or lying down. If you move your legs and it feels better, it’s assign you might have RLS. Some people can stretch out or change positions in bed, while others have to get up and walk around. There’s no known cause for RLS, but the disorder often runs in families. Scientists are honing in on the chemical dopamine, since it’s what manages your muscle movements. 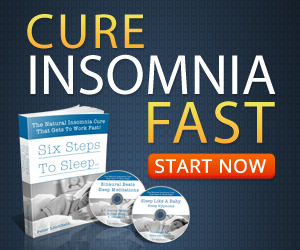 How Do I Cure Restless Leg Syndrome? Controlling RLS may be as simple as controlling your stress, which appears to worsen the symptoms. A doctor can diagnose RLS through a series of questions, but there’s no simple test to confirm it. To treat it, you’ll want to make sure you have your doctor check to see if you’re suffering from an iron deficiency, because many RLS sufferers have found that their symptoms disappeared after their iron levels were brought back to normal. Your doctor may prescribe medications similar to what Parkinson’s or epilepsy patients receive. Or, he may recommend a simple muscle relaxant. Lifestyle changes will also be in order, such as cutting back on stimulants like caffeine. You can help curb the tendency to move your legs by using hot and cold packs, pain relievers, or a warm bath. Meditation, Yoga, a relaxing environment, and exercise also contribute to the elimination of RLS symptoms. Periodic Limb Movement Disorder (or Syndrome) is when your legs and/or arms move involuntarily while you’re asleep. This can sometimes wake you up, and if you have a sleeping partner such as a spouse, it can disrupt their sleep as well. Sometimes people with RLS also suffer from PLMD. PLMD occurs sporadically and can strike any age group, although it’s more common in older adults. There are two kinds of Periodic Limb Movement Disorders primary and secondary. Primary PLMD is when there’s no known cause, while secondary PLMD is the result of another medical issue, such as diabetes, sleep apnea, anemia, and narcolepsy. Someone who suffers from PLMD may not know they’re doing it, since it occurs during sleep. It’s usually pointed out by a sleeping partner or sleep study expert, who notes that the sufferer jerks their knees and legs, or thrashes around while sleeping for a couple of seconds. Although the person may sleep through it, their deep sleep is disrupted, resulting in daytime drowsiness. There’s no cure for PLMD, but many medications work to suppress involuntary muscle movements. If you have secondary PLMD, then your symptoms may disappear for good once the underlying medical condition improves. If you’re dealing with primary PLMD, then you may see symptoms return periodically even after they’re under control. You might be able to get relief without medicating yourself by trying simple relaxation techniques and optimizing your sleep environment. A combination of therapies could help banish the restlessness in your limbs for good!